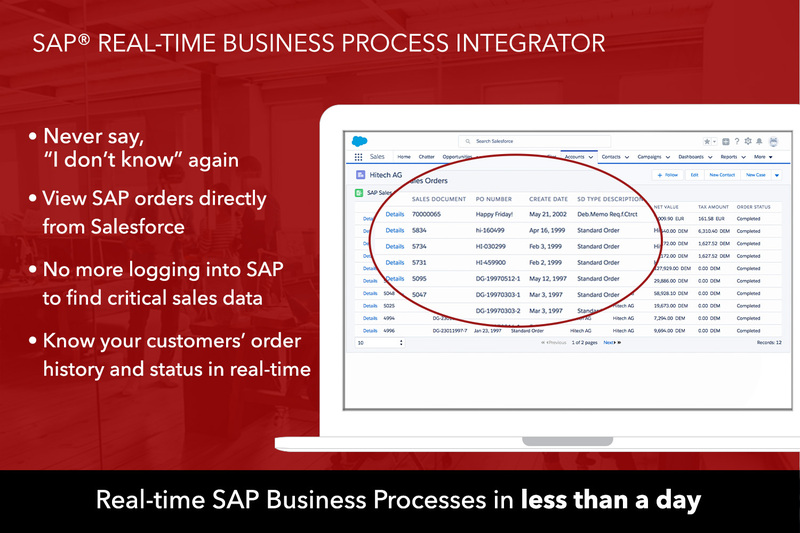 CINCINNATI, Dec. 11, 2017 /PRNewswire/ -- enosiX today announced it has launched the SAP Real-Time Business Process Integrator app on the Salesforce AppExchange, empowering customers to quickly implement enterprise-grade business process integration into Salesforce. The zero-code approach enables rapid install to increase selling time. 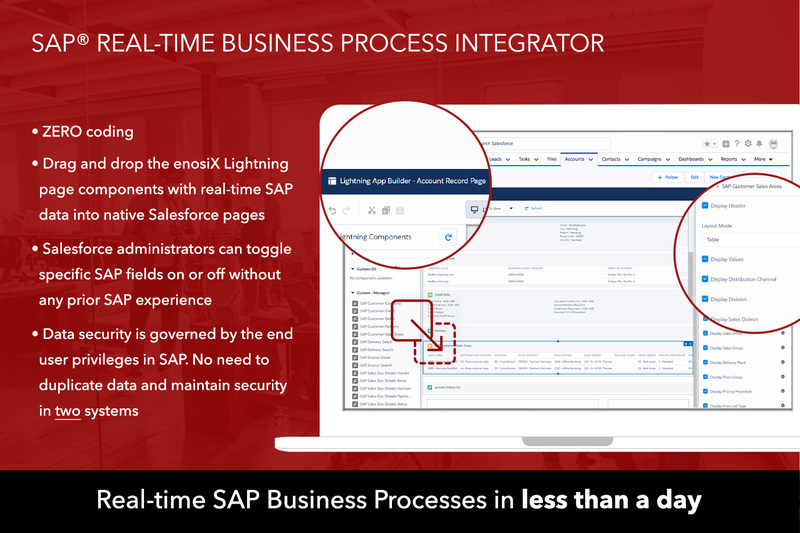 Built to enhance sales productivity and customer service, enosiX provides drag and drop capability to add live SAP data to the Salesforce experience. The app unlocks critical SAP data to empower frontline sales teams to drive deals faster from anywhere. 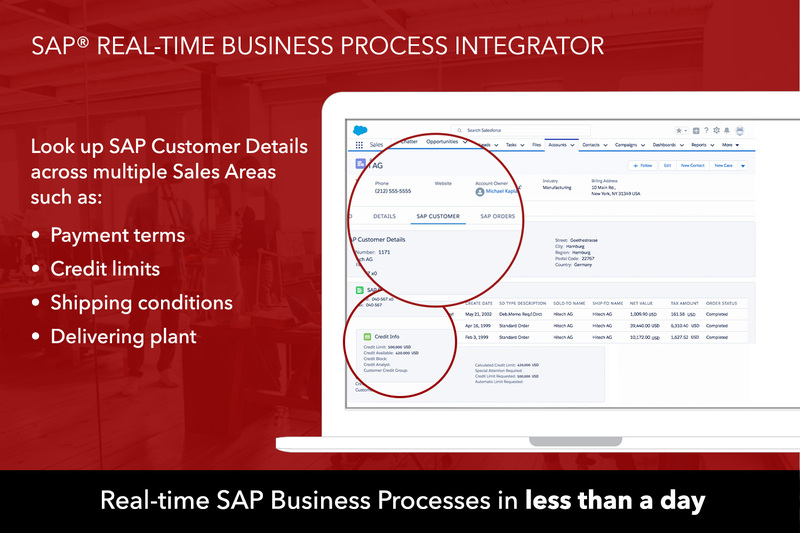 The SAP Real-Time Business Process Integrator provides a software framework with over 15 pre-built display templates to enable rapid, real-time integration of Salesforce with SAP with true bi-directional functionality. Salesforce admins can select what SAP data to display with a click – no SAP expertise required. No middleware or additional infrastructure is required. "Typical integration approaches require deep ERP understanding and complex front-end building by the developer, can take more than six months," said Gerald Schlechter, Founder & CEO, enosiX, Inc. "We are already providing organizations with a true 360-degree view of their customers. 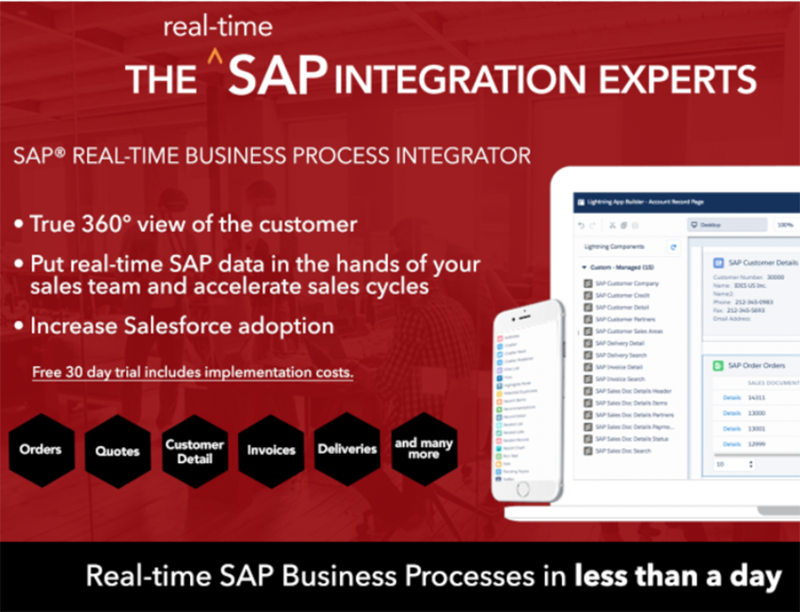 Now, with our new SAP Real-Time Business Process Integrator app for Salesforce, we provide a faster, easier and more cost-efficient real-time access to critical SAP data."